OMAHA, Neb. 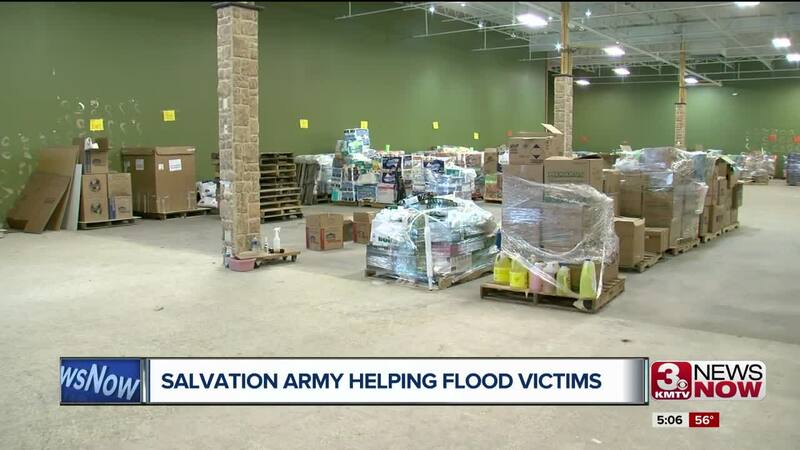 (KMTV) — The Salvation Army at 84th and Center transformed its warehouse into a distribution center Thursday afternoon. Flood victims can now go to pick up what they need to repair their homes. "It's devastating, it's heartbreaking and I'm so proud of Omaha," said Cindy Popp, a volunteer at the warehouse. "I'm glad that I can help them, they're very appreciative but they help me more than I help them." The Salvation Army says they still need supplies such as cleaning supplies, shovels, buckets and first aid kits. You can drop them off at Canfield's Plaza near 84th and Center.